Yes, even with computers we all still need to organize our papers at some point. Keep your logo in front of your sales people or clients. 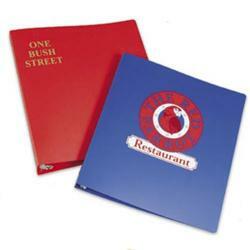 This Poly Ring Binder with 1 1/2" Ring Poly binders offer an economical and environmental element to your binder options. 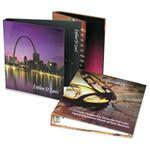 Available in 2 standard thicknesses, Poly binders are an option worth exploring. Available Colors: Gray, Ivory, Green, Maroon, Colonial Blue, Orange, Yellow, Emerald. Production Times Available: 10 working days. Please inquire for rush. Available Imprint Options: Silk screen included. 0.35 Gauge thicker, not as flexible as 0.23 Gauge.